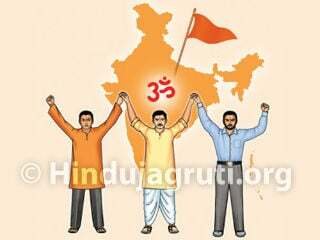 Hindu Janajagruti Samiti (HJS) is a non-govt charitable trust working for welfare of society, nation and Dharma. Our activities include free medical camps; giving assistance to victims of natural calamities like earthquake, floods; temple cleaning drives; helping management of crowds at places like temples, fairs etc; providing moral education to children; delivering lectures on personality development, spirituality and Dharma education etc. Donors are eligible to avail Income Tax benefits U/S 80G of Income Tax Act 1961. You can contribute for the activities of HJS by donating as per your capacity ! 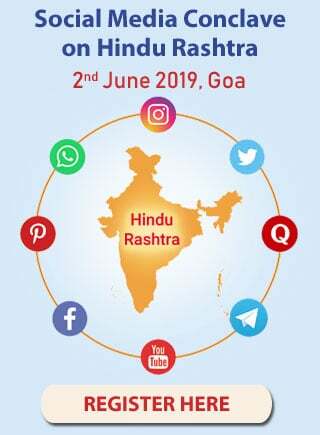 Please note that as HJS is not registered for FCRA, we can’t accept donations outside India.